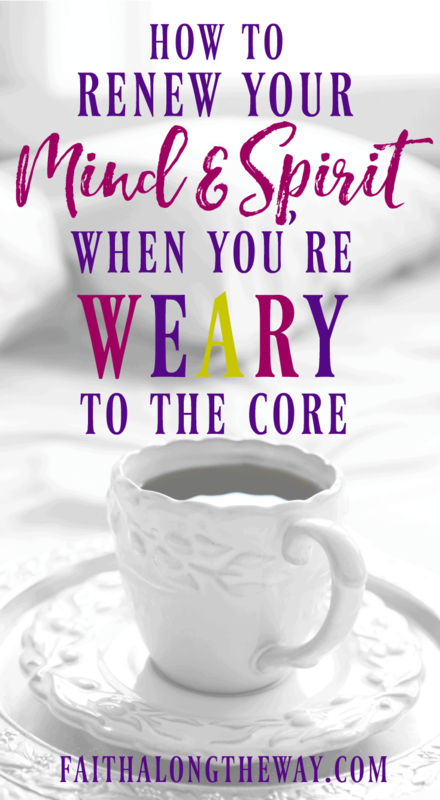 Join our faith & family newsletter for instant access to the 10 Bible Verses for the Worn Out Woman decorative printable! Breathless, I rushed into church one Sunday morning with more emphasis on the perfect outfit than the condition of my heart. I felt hollow as the worship music played and I battled exhaustion and discontent. Desperate for hope and longing for peace, I knew there were things that had to change. While I knew that I couldn’t have more than the allotted 24 hours in a day, I also knew I couldn’t keep up the same exhausting pace. When life is hectic and busy, it may be easy to let your time with God fall by the wayside. Yet there’s nothing more comforting than finding peace nestled in the pages of God’s Word. Carving out time to meet with God each day is exactly what your weary soul needs to get back on track. But sometimes making your quiet time a priority seems impossible, right? Over the years I’ve discovered that knowing when you will have a quiet time and what you will study reduces the chance you’ll do away with your daily routine. When I find myself spread thin and in need of revival, nothing satisfies my soul more than soaking in God’s promises. When we’re drowning in responsibilities, it’s easy to forget the powerful promises made in God’s Word. And it’s easy to forget that our overwhelm is temporary and fleeting. Praying the promises of the cross will refocus your heart and adjust your attitude in just a few minutes a day. When we’re reminded of the sacrificial love of the Lord, it’s hard to keep our martyr attitudes! Personally, I use the Praying the Promises of the Cross journal to record the promises of Scriptures and how I can apply them to my life. This practical and simple resource has made it easy for me to meet with God (it takes only about 10 minutes a day!) and to restore my weariness with God’s goodness. There’s nothing that satisfies the longing of the heart like God’s promises! It’s truly a balm to the soul! 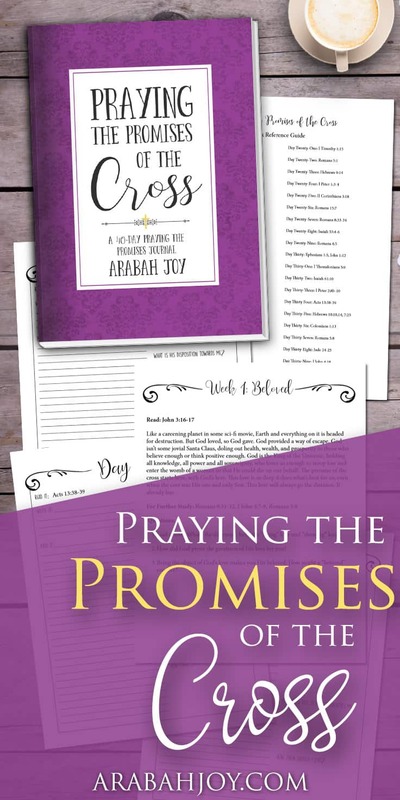 If you’re ready to lay down your weariness and explore the promises of God with the Praying the Promises of the Cross Prayer journal, you can grab your copy here. Join me on a journey to soul satisfaction at the foot of the cross with the Praying the Promises of the Cross Prayer Journal. Learn more here! I’ve noticed that when I am truly worn and weary, I tend to scroll through social media more than usual. (Why is that?!) Yet surfing my Facebook feed is not relaxing and hardly ever encouraging! When I’m feeling pressed in and that I’m juggling 1,000 tasks, I evaluate my priorities. The following questions help me process my schedule and responsibilities. Can I let go of any of these taks and either cancel them or reschedule them for another time? These questions have helped me sort through “schedule overwhelm” and help me process what responsibilities are truly necessary. 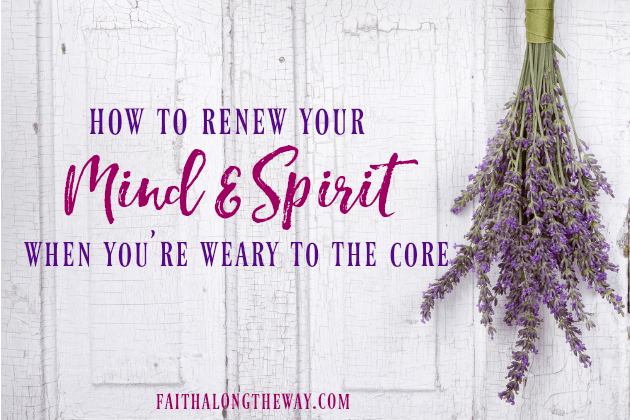 As I battle to reclaim my weary spirit, I often find that I’ve neglected my own self-care. Whether I’ve stopped exercising or simply haven’t made time to do things I enjoy, it may be time to make myself a priority again. Then, I try to plan time to do something that fuels my soul and gives me energy. Whether you’ve been weary for a few days or are in a perpetual state of overwhelm, there is hope! Take a few minutes to pray through the areas you need to make a priority and have the courage to take intentional steps towards healing every day. You can do it!